Christmas is the most awaited time of the year. We usually celebrate Christmas with our loved ones and the relatives will be reunited again. It seems that Christmas this year will be quick, lots of people today are busy decorating their house for the coming Christmas and some are excited to see their relatives. Christmas is a time for your family, friends and the people who love you. The word Christmas comes from the old English “Cristes Maesse” meaning Christ’s Mass. Every year it’s a tradition for all to celebrate Christmas. Even if they don’t have enough money to buy gifts, the most important is you celebrate it with your family together. One of the most important in celebrating Christmas is you need to put some decorations for you to feel the Christmas spirit. Just like our client from Don Bosco, Parañaque City, she opted for Fabric Vertical for her house for the preparation of their incoming reunion this Christmas day. She’s preparing her home interior for the reunion and for her stair window, she decided to put Fabric Vertical Blinds to make it look more elegant and to match her pretty chandelier. If you are planning to change your window cover this coming Christmas season, fabric vertical blinds will surely suite your taste and budget. Fabric vertical has many patterns that you can choose, different thickness and different material you will surely love for your home decorations. 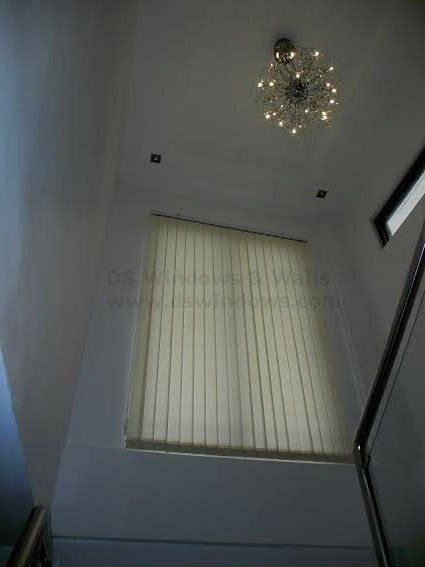 In DS Windows & Walls, we have two materials of fabric vertical blinds, we have sunscreen and blackout. Sunscreen are perfect when you want still a natural light comes through to your house and blackout to block or lessen the heat and light coming through to your window. DS Windows and Walls is open to Install and Deliver products in any provinces. 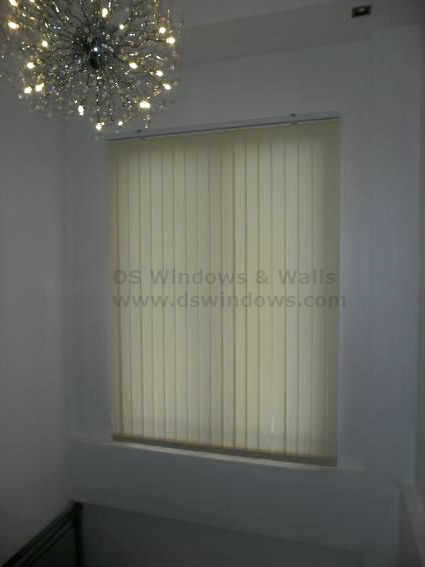 Aside from Blinds we do also have Vinyl Wallpapers, PVC Accordion Doors and Carpets. For inquiries regarding our products and services, just call us at (02) 893-1373 / (02) 403-3262 / 0916-311-3909 or email us at inquiry@dswindows.com. You may also visit our stores located at 2nd level Pacific Mall Lucena City, 3rd Level Robinsons Metro East, Pasig City and 4th Level Waltermart, Makati City. You may also browse our Facebook Page and like us at https://www.facebook.com/windowblindsphilippines and https://www.facebook.com/blindsphilippines.